Opportunity Zones have the potential to reshape and improve many distressed areas of Alabama. Established by Congress in the Tax Cuts and Jobs Act of 2017 to encourage private investment in rural and low-income areas, Opportunity Zones provide investors with federal tax incentives and communities with private-sector financing to improve communities through targeted economic development. Join other leaders at Alabama’s first Opportunity Zone Forum on May 1st at Auburn University to learn how they work and how the state is moving forward. Date: May 1, 2019 from 8 A.M. to 4 P.M.
Giev is a Senior Wealth Planner with HSBC’s Private Banking for the Americas. 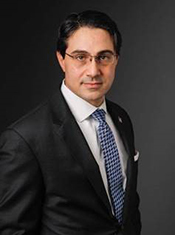 Prior to joining HSBC Private Banking, Giev was an attorney whose practice focused on the representation of high net worth international private clients and institutions in the areas of tax planning and compliance, estate planning, pre-immigration tax planning, planning for foreign clients investing in the United States, and tax issues concerning foreign trusts with U.S. beneficiaries. 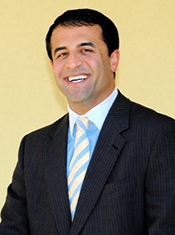 He has over a decade of private practice experience as an international tax and estate planning attorney. Giev is licensed to practice law in Florida. He is also a member of the international professionals group, Society of Trust and Estate Practitioners (STEP). Giev received his Bachelor’s degree from New College of Florida. He received a Juris Doctor cumlaude from St.Thomas University School of Law, and a Master of Laws in Taxation from New York University School of Law. Giev was a founding member of the Intercultural Human Rights Law Review at St. Thomas, where he served as J.D. Editor-in-Chief. He was recorded on the Dean’s List for four semesters of attendance, and was the recipient of the West Outstanding Scholastic Achievement Award. 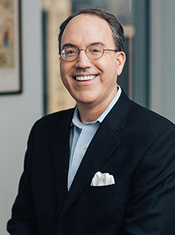 Dr. James R. Barth is the Lowder Eminent Scholar in Finance at Auburn University, a Senior Fellow at the Milken Institute, and a Fellow at the Wharton Financial Institutions Center. Dr. Barth was an appointee of Presidents Ronald Reagan and George H.W. Bush as chief economist of the Office of Thrift Supervision and previously the Federal Home Loan Bank Board. He has also held the positions of professor of economics at George Washington University, associate director of the economics program at the National Science Foundation, and Shaw Foundation Professor of Banking and Finance at Nanyang Technological University. He has been a visiting scholar at the U.S. Congressional Budget Office, Federal Reserve Bank of Atlanta, Office of the Comptroller of the Currency, and the World Bank. Barth has also testified before several U.S. Congressional Committees. George Buchanan oversees risk for the Consumer and Wealth Management Groups for Regions, a regional bank that operates throughout the South, Midwest and Texas and is headquartered in Birmingham, Ala. 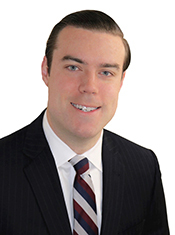 Prior to his current role, Buchanan was the Commercial Credit Executive with responsibility for all credit risk management activities within the Commercial Banking and Private Wealth segments. 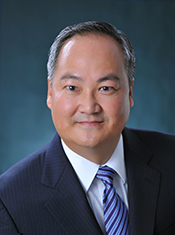 He re-joined Regions in 2011 from U.S. Bfank where he served as senior vice president and Chief Credit Officer for Small Business and Affluent Banking. Prior to joining U.S. Bank in 2007, Buchanan was the Business Banking Senior Credit Officer for Regions, where he served in many credit roles during his 13 years with the bank. 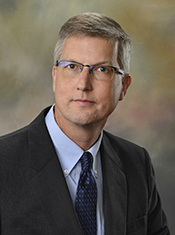 Buchanan began his banking career at First Union in 1992 as a credit analyst. 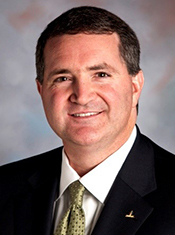 Buchanan is an Executive Committee and board member for the Small Business Financial Exchange, the leading source for small business credit information in the U.S. He is also an active member within the Risk Management Association, currently serving on the Enterprise Risk Management Council. Buchanan is a member of the Dean’s Business Council with the University of Illinois College of Business, the Graduate Education Development Council and MBA Advisory Board for Auburn University, the Small Business Committee for the Consumer Bankers Association, the Board of Directors for Opera Birmingham, the Advisory Committee for the Alabama Small Business Commission, the Friends Board for WBHM-90.3FM, and is a graduate of the 2017-2018 Leadership Birmingham class. 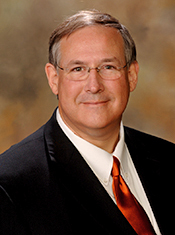 Buchanan received an undergraduate degree from the University of Illinois and an MBA from Auburn University. Kenneth Chan (Ken) is a real estate owner and developer in New York City. Ken is also a corporate and patent attorney. 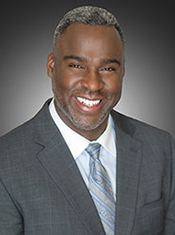 As a real estate owner and developer, Ken has engaged in ground-up development and redevelopment of industrial, residential, and mixed-use properties located in New York City. His investment horizon tends to be longer term. As attorney, Ken has served as corporate counsel at United Technologies Corporation—Pratt & Whitney Aircraft Division, Senior Intellectual Property Counsel at Avaya Inc., and Asia Regional Intellectual Property Counsel at Corning Incorporated. In addition to his real estate projects, Ken is currently advising a real estate financial technology start-up as its general counsel. Ken is a graduate of Cornell University and Syracuse University Law School. Angel Coker is a reporter at the Birmingham Business Journal, where she reports on banking and finance, legal and transportation. Her journalism experience includes a stint as news editor at a small paper in Mississippi and, prior to that, three years at The Tuscaloosa News – first as a general assignment reporter and then as a beat reporter, covering Tuscaloosa County government, the city of Northport and health. During her time in journalism, she has won a first-place award from Associated Press Media Editors for deadline reporting and three other awards for participatory sports and feature reporting, which included her coverage of the 50th anniversary of “Bloody Tuesday,” a civil rights movement in Tuscaloosa. She is a 2013 graduate of the University of Alabama, where she studied journalism and wrote articles and designed pages for the Crimson White. Dr. Royrickers Cook provides university-wide leadership for all outreach and engagement initiatives, spanning 12 colleges and schools, aimed at advancing Auburn University’s outreach mission of applying its educational resources to problems and issues faced by citizens of the State of Alabama and beyond. Dr. Cook has led the University Outreach division since 2006. Dr. Cook is directly responsible for the following Auburn University outreach centers and institutes: the Center for Educational Outreach and Engagement, the Government and Economic Development Institute, the Office of Professional and Continuing Education, the Encyclopedia of Alabama, the Office of Public Service, the Osher Lifelong Learning Institute, the Office of Faculty Engagement and Outreach Global. In addition to his administrative responsibilities, he is actively involved in connecting Auburn University to the international community. This involvement includes working on international education programs in South America, Central America, Africa and Asia. Many of these programs promote faculty and student exchanges, educational tours, international program development, and training for educators, businesses and governmental officials from across the globe. A native of Auburn, Alabama, Dr. Cook holds three degrees in Public Administration and Public Policy from Auburn University, culminating with a Ph.D. in 2000. He also occasionally lectures in the Department of Political Science and the Master of Public Administration Program. He has been principal or co-principal investigator on several large federal grants at the university. 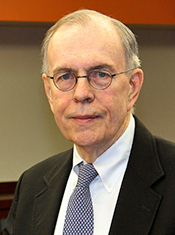 Dr. Cook also serves on the boards of several community and academic organizations. Jeff Drinkwater is Vice President of Business Development for NES Financial, supporting our EB-5, Opportunity Zones, and private equity line of businesses. Jeff is a 20-year veteran of the financial services industry, having previously held positions at BNY Mellon, J.P. Morgan, Fortis and BISYS. His broad experience working with hedge funds, mutual funds, and private equity funds, as well as with top fund administrators, has allowed him to build strong relationships throughout the industry and affords him specialized insights when addressing client needs. Alex Flachsbart is the founder and CEO of Opportunity Alabama (www.opportunityalabama.com), a first-of-its-kind nonprofit dedicated to building a statewide Opportunity Zones ecosystem with equity at its foundation. OPAL educates the public on how Opportunity Zones work, connects projects to capital, and markets Alabama to the world – all while focused on creating economic vitality in the places and for the people that need it most. 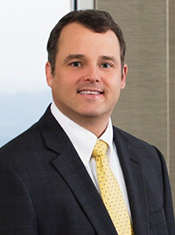 Alex is a recovering attorney who practiced for several years with Balch & Bingham LLP in Birmingham, Alabama, specializing in tax credit and economic development-related work. Alex was a member of Teach for America’s charter corps in Alabama, where he taught high school mathematics in one of the most impoverished rural counties in America. A native of Northern California (but a naturalized Alabamian), Alex received undergraduate and masters degrees in economics from The University of Alabama and a JD from Washington and Lee University School of Law. Alex allocates some of his free time to board service for Main Street Alabama and the balance to his beautiful wife and daughter. Ralph Foster is Assistant Vice President for University Outreach and Public Service at Auburn University, with almost 30 years of service in the Outreach division. A third generation alumnus, he has a BS in business administration from Auburn. Foster also received an MS in human resources from Troy University, and has additional study in adult and continuing education at the University of Georgia National Leadership Institute in Adult and Continuing Education. Foster oversees the Office of Public Service and the Encyclopedia of Alabama, and leads initiatives including community and institutional partnerships, civic engagement projects and interdisciplinary outreach programs. He is responsible for non-credit continuing education certification compliance, and also serves as the division's development and strategic planning liaison. Foster’s professional activities include board and committee positions in several state, regional, and national academic and community organizations. He has received a number of awards and recognitions for his civic and professional engagement over the years, including the title of Fellow in the Society for Advancement of Management, the highest professional designation of that international organization. His publications include journal articles and book chapters on ethics, education, management, marketing, and civic engagement. Rejane Frederick is an associate director for the Poverty to Prosperity Program at American Progress. Previously, she was a research associate in the health policy and management department at George Washington University (GWU). Prior to joining GWU, Frederick served as an assistant program manager at CommonHealth ACTION and the Institute for Public Health Innovation, where she provided programmatic leadership, support, and subject matter expertise, including facilitation and technical assistance to local governments, public and private health coalitions, community-based organizations, and grassroots coalitions. Frederick also worked at the National Urban League’s Washington, D.C., bureau and began her career in the U.S. Senate in the office of Sen. Sherrod Brown (D-OH) as a legislative staffer, focusing on the areas of health, civil rights, criminal justice, and social policy. 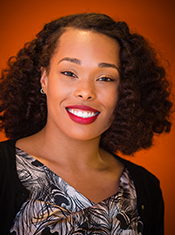 Frederick is a graduate of Johns Hopkins Bloomberg School of Public Health and Juniata College, where she completed a Master of Public Health in health equity, systems thinking/modeling, and social epidemiology, and a bachelor’s in public health and comparative politics. 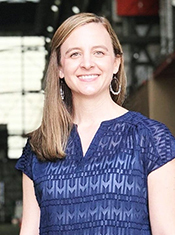 Erin founded Madison Street Strategies in 2018. She has almost two decades of experience in media and public relations, crisis management, communications and government affairs. Most recently, she served in executive management at the state agency leading Florida's workforce, community and economic development, working with businesses and communities across the state to invest in a high-tech workforce, develop strong growth strategies and promote Florida's economic success. Erin has extensive disaster recovery experience, leading statewide private sector recovery efforts after Hurricanes Hermine, Matthew, Irma, Maria and Michael. In her role with the state of Florida, she led the state's selection of 427 Opportunity Zones and worked with communities to develop strategies to attract Opportunity Fund investment. Currently, Madison Street Strategies educates communities, developers and investors on how Opportunity Zone funding can be implemented to grow the local economy. 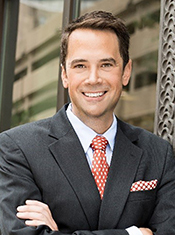 Alex Helm is currently Chairman and CEO of Acumen Capital Group LLC and is a Principal at Helm Family Office LLC. Alex maintains key relationships with a small group of preferred clients throughout the US and Globally. Alex helped Acumen Capital Group grow to develop key relationships with Goldman Sachs, Morgan Stanley, HSBC and JP Morgan Private Bank. Before founding Acumen Capital Group, Alex was Assistant Vice President for Vanguard Bank and Trust in Fort Walton Beach, FL. 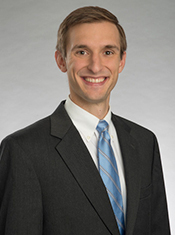 Alex started his Banking career at SunTrust Bank in Atlanta, GA where he was a Commercial Portfolio Specialist. 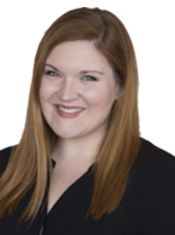 While in College at Auburn University, Alex was selected by The Department of the Treasury to work in Washington, DC under the Bush Administration as a Financial Analyst and Government accounting assistant. He worked under Secretary Snow at the Department of the US Treasury and in 2003 Alex was awarded a Certificate of Appreciation for the work he did for the office of Financial Management by the United States Treasury Department. Alex is also a former board member of Southern Airways Express and He currently serves on the Advisory board for several Non-profits, Healthcare, Fin Tech and an Oil & Gas company. In his free time he enjoys playing golf, hunting and fishing. Alex grew up in Searcy, Arkansas and lives in Florida today. Don Hopper serves as the Executive Director of the Calhoun County Economic Development Council, an organization created through an act of the Alabama State Legislature for the purpose of promoting industry, trade and economic development within Calhoun County, Alabama. He has held this position since 2002, but has been involved in the economic development profession for over thirty years. During his tenure, the Calhoun County Economic Development Council has been successful in recruiting several new industries to the area, as well as assisting existing companies with their expansion needs. Don is a native of Mississippi where he received his master’s degree from the University of Mississippi and moved to Alabama in 1987. He serves on several regional and Statewide committees and advisory councils for economic and workforce development. He is also a Past President of the Economic Development Association of Alabama. Paul Marino is a partner in the Financial Services and Corporate Groups. 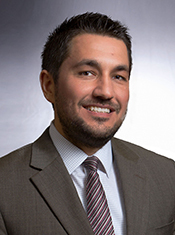 Mr. Marino focuses his practice in matters concerning financial services, corporate law and corporate finance. Mr. Marino provides counsel in the areas of private equity funds and mergers and acquisitions for private equity firms and public and private companies and private equity fund and hedge fund formation. Mr. Marino works on a variety of M&A transactions, including leveraged acquisitions, divestitures of business divisions, going-private transactions, and other strategic acquisitions and dispositions, in the following industries: manufacturing, telecommunications, consumer products, hospitality, healthcare, and technology, among others. His practice also includes joint ventures and general company representation matters. Mr. Marino has represented national and multinational corporations, ranging from telecoms to tech companies, as well as real estate syndication and financial investors and investment advisors. He has also negotiated and structured a number of U.S. domestic and cross-border mergers and acquisitions and joint ventures. Craig Mason is a tax partner with more than 25 years of experience providing tax services to privately-owned and venture backed companies. Craig serves the real estate team for the Alabama/Georgia/Tennessee markets for RSM. Craig is the National Co-lead for Opportunity Zones. He has extensive experience with real estate owners, real estate developers, and home builders. Craig’s specialization has allowed him to work with the historic tax credit, new market tax credit, low income housing tax credit, like kind exchanges, single and multi-family residential, industrial, commercial, and retail segments of the real estate marketplace. He has extensive experience in real estate tax compliance, mergers & acquisitions, and transaction structuring. Prior to joining RSM, Craig began his career with a Big Four firm in San Antonio, Texas, later joining the Tulsa, Oklahoma office of Deloitte & Touche. In 1997, Craig returned to Birmingham where he worked for another Big Four firm for four years prior to joining a predecessor firm of RSM in 2001. Mr. McGrew joined McNally Capital as a Managing Partner in December 2016 to lead the firm’s Merchant Banking efforts while actively supporting Direct Investing efforts in concert with family office relationship coverage. He is a member of McNally’s investment and valuation committee among other leadership roles. Previously he was a Managing Director within Investment Banking at Raymond James with responsibility for coverage of diversified industrial and manufacturing companies—particularly those related to industrial technology, infrastructure, water, building products, metals and industrial services. Prior to Raymond James he assumed increasing levels of responsibility while working at other global investment banks including Morgan Stanley, Merrill Lynch, Salomon Brothers, Morgan Keegan and Morgan Joseph to gain significant investment and work experience in the US, Japan, China, Russia and Europe. He is a recognized expert in corporate finance, M&A and family business dynamics with nearly 30 years of extensive experience identifying, structuring, operating, growing, and monetizing leading businesses for institutional and private owners. He has been responsible for identifying, structuring and raising over $5 billion of capital and advising on over $10 billion of M&A transactions for numerous private and public global entities – predominately within the "middle market". He is a regular speaker at key industry events and has authored or co-authored numerous publications pertaining to investment banking, raising capital, global manufacturing and family business planning. He holds an MBA from the Wharton School and a BBA from Southern Methodist University. 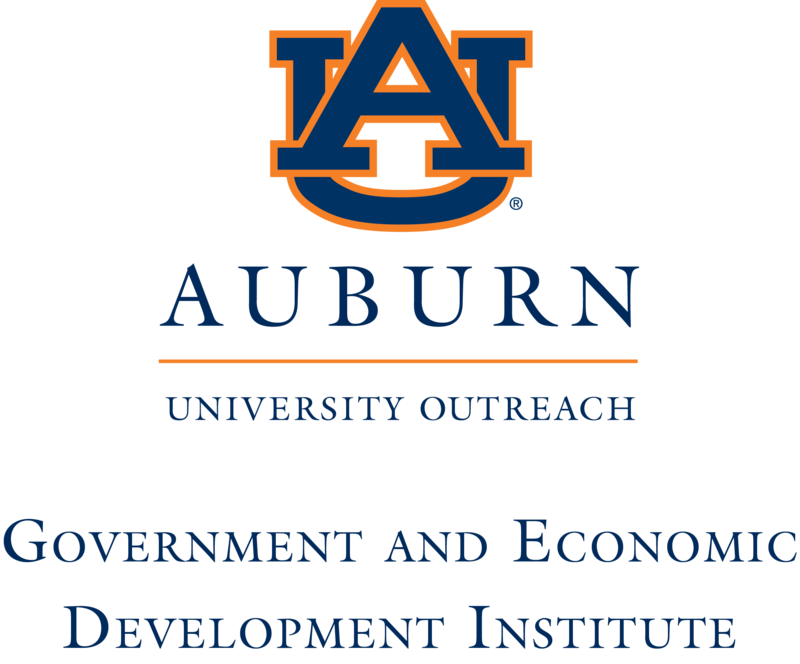 David Mixson serves as Associate Director of Auburn University’s Government & Economic Development Institute. He is responsible for overseeing GEDI’s operations, training programs, and technical assistance offerings to local governments, elected officials, and economic development professionals. David has over 20 years of university based economic development experience helping communities, businesses, and local governments address challenges using innovative approaches and tools. 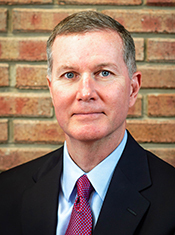 He has worked with federal and state agencies on economic development and government assistance projects over his career including: NIST, NASA, the Alabama Department of Homeland Security, and the Alabama Emergency Management Agency. In his previous role as director of Auburn University’s Economic Development Administration University Center, he linked university expertise with Alabama businesses and organizations to improve their performance. He has assisted dozens of entrepreneurs, businesses, and non-profits implement innovation methodologies including the Lean Start-Up, Business Model Canvas, and Innovation Engineering. David serves also serves as Vice President of the Educational Association of University Centers, an advocacy group that fosters positive economic transformation through higher education. David is a certified Innovation Engineering Blackbelt, a Professional Certified Marketer with experience in landing page and search engine optimization. He holds a Bachelor's of Science degree in Management and a Master of Business Administration degree from Auburn University. He is a graduate of the University of Oklahoma’s Economic Development Institute. His prior experience includes working for Total System Services of Columbus, Georgia, where he held positions as Project Support Manager and Project Analyst. 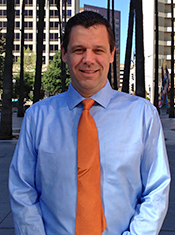 Since September 2007, Fred Rendfrey has been the Director of Downtown Economic Development for the Downtown Mobile Alliance, a Business Improvement District that encourages redevelopment through marketing, advocacy and improving the user experience. Fred honed his leadership skills by participating both in The Alabama Leadership Initiative, a brief, two-day program for emerging leaders hosted by Leadership Alabama and in the International Downtown Association's inaugural Emerging Leader Fellowship Program. He is a member of the International Council of Shopping Centers, the Urban Land Institute, and the Congress for New Urbanism. In addition, he is a board member of the Mobile Historic Development Commission, Restore Mobile, a revolving loan fund renovating historic houses and building new houses in historic districts, and the Moorer YMCA Branch Advisory Council. Fred received a BA in Economics from Millsaps College, and a MS in Economic Development from the University of Southern Mississippi. Prior to joining the DMA, Fred served as the Executive Director of the Pearl Chamber of Commerce in Pearl, MS. Fred can be reached at (251) 459-8706 or fred@downtownmobile.org. Brandon Seagriff is an Assistant Vice President of Gabelli & Partners and member of the Global Business Development & Client Service Team. He joined the firm in 2014 and currently helps oversee the firm’s European marketing & distribution efforts. Mr. Seagriff graduated from the University of Miami where he earned a BS in Finance. Richard L. Shamos is Counsel in the Firm’s Financial Services Group. Mr. Shamos advises financial services firms on the structuring and distribution of investment funds, including hedge funds, private equity funds, registered funds and sub-advised products. Mr. Shamos specializes in bespoke investment fund structures involving alternative asset classes, cross-border fund structuring and distribution, and international taxation and securities law issues. Mr. Shamos has extensive experience with the operation and design of U.S. partnership vehicles, as well as European and offshore fund structures, including Luxembourg, Irish, Dutch, Cayman, BVI and Bermuda-based companies. He has also advised companies in connection with international regulatory issues, including UCITS fund structuring, the conversion of alternative funds to AIFs, the structuring of multi-manager and multi-strategy products, and cross-border regulatory compliance arising from the distribution of funds in Europe, Asia, Latin America and the Middle East. In addition, Mr. Shamos has counseled investment advisers and financial services companies on a variety of transactions, including cross-border fund mergers, corporate acquisitions, securities offerings, fund restructurings and asset-backed securitizations. 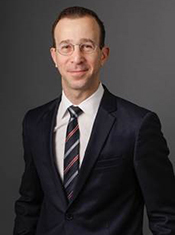 Mr. Shamos has also advised banks and investment managers in connection with bankruptcy law, regulatory enforcement and securities litigation. 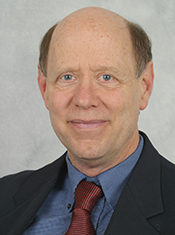 Eugene Steuerle is Institute Fellow and Richard B. Fisher Chair at the Urban Institute. Among past positions, he has served as Deputy Assistant Secretary of the Treasury for Tax Analysis, Vice President at the Peter G. Peterson Foundation, co-director of the Urban-Brookings Tax Policy Center, Resident Fellow at the American Enterprise Institute, Federal Executive Fellow at the Brookings Institution, and columnist for Tax Notes Magazine and the Financial Times. Between 1984 and 1986 he served as Economic Coordinator and original organizer of the Treasury's tax reform effort, for which Treasury and White House officials have written that tax reform "would not have moved forward without your early leadership." Steuerle is the author, co-author, or co-editor of eighteen books and over 1,500 articles, briefs, reports, and Congressional testimonies. He is a cofounder of the Urban-Brookings Tax Policy Center and the Urban Institute’s Retirement Project, its Center on Nonprofits and Philanthropy, and several continuing Urban Institute programs, including Opportunity and Ownership (asset development), and Kids’ Share (a series that traces how children fare in government budgets). He is also a cofounder and chair emeritus of Act for Alexandria, a community foundation. He serves or has served as President of the National Tax Association, chair of the 1999 Technical Panel advising Social Security on its methods and assumptions, chair of a National Academies panel on the use of economic evidence to inform investments in children, chair of the Board of Advisors, National Center on Philanthropy and the Law, and elected, appointed, advisory panel, or board member for the Comptroller General of the United States, the National Academy of Social Insurance, Independent Sector and Council on Foundations policy councils, the Congressional Budget Office, the Joint Committee on Taxation, Venture Philanthropy Partners, the National Committee on Vital and Health Statistics, and the Journal of Economic Perspectives, among others. The early registration fee for the Opportunity Zone Forum is $75 if paid before April 19, 2019. The regular fee for the Opportunity Zone Forum is $95 if paid after April 19, 2019.